Your vet will recommend vaccination depending on the diseases prevalent in the area. For the Coffs Harbour area we recommend a “C3” (core vaccine protecting against parvovirus, hepatitis and distemper) or “C5” (C3 plus parainfluenza and Bordetella bronchiseptica, known as “kennel cough”). At our clinics, we recommend three puppy “core” vaccinations, one at 6-8 weeks (check with the previous owner as this may have already been given, please provide the vet with details if you have them). The second and third vaccinations should be at about 12 and 16 weeks of age. If you would like your puppy vaccinated against kennel cough, which we do recommend, this is usually given as an intranasal dose with the second vaccination. After these primary vaccinations your puppy will require a booster in 12 months. Worming – intestinal worms and heartworm. Intestinal worming should start at 2 weeks of age, so check with the previous owner when they last wormed your pet. We recommend intestinal worming every two weeks until 12weeks of age, then every month until 6months of age. It is important to start heartworm prevention by 12weeks of age. Good heartworm tablets will also include an intestinal all-wormer, so at 12weeks of age it is a good idea to start a combined monthly tablet such as milbemax, interceptor or panoramis. Interceptor comes in a 3 or 6 pack, panoramis comes in a 6 pack, so choose milbemax if your pet is likely to outgrow the dose range as these can be sold individually. Check your new puppy for fleas before taking it home if you can – giving a fast-acting flea treatment early (such as capstar or a flea rinse) can prevent flea infestations in your house. There are many flea products on the market, and your vet or nurse will be able to advise you which is best for your needs. Some products that treat for fleas also cover other parasites; revolution and advocate also treat mites and heartworm (advocate also covers some intestinal worms), but they do not cover ticks so in general we do not recommend them for use in the Coffs area. Frontline and Advantix prevent fleas and paralysis ticks if used every two weeks – for this reason we strongly recommend treating dogs with these products fortnightly throughout tick season. Frontline spray can be used from 2days of age, and protects against paralysis ticks for up to three weeks if used at the correct dosage. Comfortis flea tablets rapidly kill fleas so are widely used for atopic dogs (dogs with skin allergies). Comfortis does not protect against ticks. We recommend that all pet dogs are desexed, and that this is done at 6months of age. These routine surgical procedures usually do not require an overnight stay in hospital. The cost of a desexing procedure under two years of age is heavily discounted to encourage all owners to protect their pet against so many unnecessary problems. In addition, registering your desexed dog with the council costs $110 less than an entire (non-desexed) dog ($135 less for pensioners! ), which makes the procedure a very affordable choice for everyone. Desexing male dogs early can help prevent dominant behavioural problems and escape attempts, as well as preventing testicular tumours and prostate problems in later life. Desexing female dogs early not only prevents unwanted pregnancies and problematic births, but also lowers the risk of your dog trying to escape or running away, male dogs trying to get into your yard, and prevents health problems seen in entire females such as pyometra, (a life-threatening emergency condition), and problems seen in entire or late-desexed females such as mammary tumours. Pet insurance is sadly overlooked by the majority of pet owners; many owners do not have the money readily available in an emergency (such as dog attack, tick paralysis or hit by car) or with a chronic disease (such as diabetes, cancer or heart disease) for treatment. These owners may therefore have to opt for sub optimal care, or in some instances euthanasia. LIFELONG COVER– some plans will only cover your pet to a certain age (eg, 9 years). Is your pet likely to live longer than this? If the answer is yes, then it is a good idea to pick a plan that does not exclude pets once they reach a certain age. Just like us, health problems are more likely in elderly pets. BREED CONDITIONS/EXCLUSIONS – some plans will have exclusions based on the breed of your dog. This is because some dog breeds are genetically prone to certain problems, for example Cavalier King Charles Spaniels are quite likely to develop heart disease, Golden Retrievers are predisposed to hip dysplasia, Staffordshire Bull Terriers are prone to skin disease and Dachshunds are prone to spinal problems. This means that any problems that are excluded based on the breed of your dog are the problems they are more likely to develop, so a comprehensive plan without exclusions may be a better choice. DISEASE/ILLNESS COVER – cheaper plans may only offer accidental injury cover. For example, this means that if your dog is hit by a car or bitten by a snake they will be covered, but if your dog develops diabetes, skin complaints, ear infections, or kidney disease they probably won’t be. It is also important to choose a plan that covers illness lifelong, as some plans will only cover the first six months or a year after diagnosis. TICK PARALYSIS – believe it or not, some pet insurance companies won’t cover tick paralysis or have quite low limits, and this could be in the small print so always check that tick paralysis is covered – in the Coffs Harbour area this is probably the most likely thing you will have to claim for. 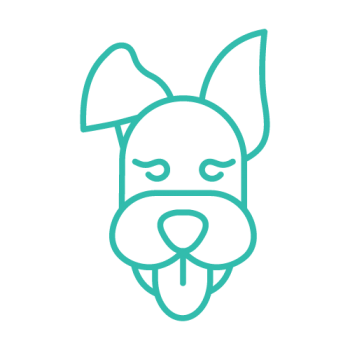 EXTRAS – again, this is a personal choice, but some plans offer money back on routine procedures such as desexing, vaccinations and heartworm treatments up to a certain amount per year. It’s up to you whether you think you would rather pay for these things separately. Behavioural training and socialisation should start early, and puppy preschool classes are a great way to do this. In puppy classes, your dog will learn to interact socially with other dogs, to play with you without biting, and to follow basic commands such as sit, drop, stay, and come. Once you learn HOW to teach your dog, any other commands you decide to teach is up to you! Puppy classes are a great opportunity to ask questions or raise any concerns that you have about all aspects of owning a dog. It’s a great idea to bring your children too, so they can learn how to play with your dog. You may wish to follow this up with more behaviour or agility training, which is great exercise and fun for you and your dog. Ask our nurses for more information about classes near you.